Caron Whitaker, a consultant with the League of American Bicyclists will be hosting a webinar with speakers from Amtrak and Adventure Cycling Association to speak about Railroad’s current bike services and facilities, the Amtrak Bike working group, and plans for the future. There will also be plenty of time for questions and answers, so sign up now (spaces are limited). 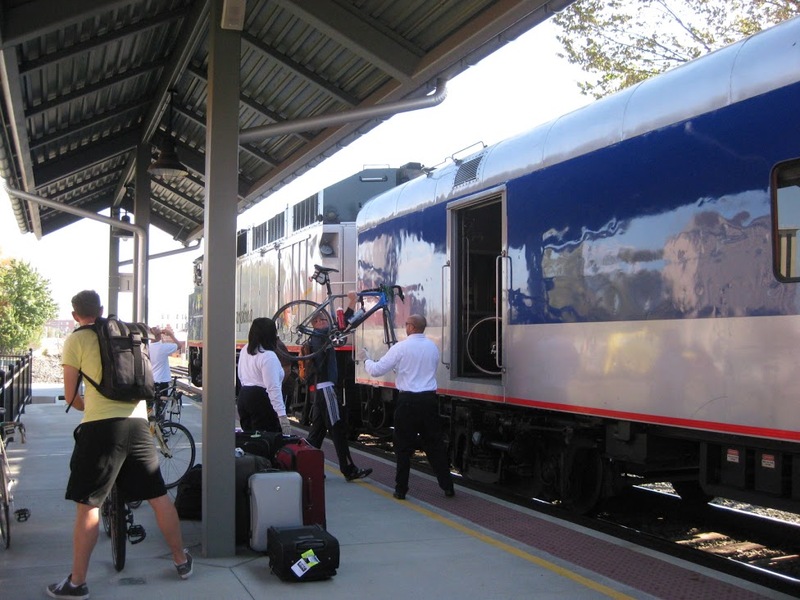 In the past year Amtrak has greatly expanded the acceptance of unboxed bicycles on many of the trains on its nationwide network. However the differences in equipment and its partnerships with some states have resulted in complex set of fees and accommodations. It is hoped that the webinar along with this list of Questions and Answers will help participants plan their bike on rail trips. You can sign up using the Go To Webinar link below. You can also find this map on the BCGP Maps page.